The islands of Saint Helena and Ascension, together with the Tristan da Cunha archipelago, make up a sprawling overseas territory of Britain situated in the middle of the Atlantic, roughly halfway from South America to Africa. 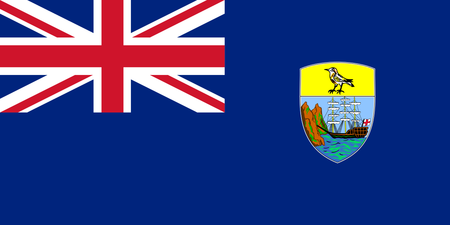 It is over 2000 miles from Ascension Island south to Gough Island, and fewer than 10,000 people inhabit the 150 square miles of land that the territory comprises. The islands were created by undersea volcanoes, and they remained uninhabited until discovery by the Portuguese in the 1500s, who, along with the British and Dutch, used them as way stations on Atlantic crossings or voyages along the African coast. For many years there were few or no permanent inhabitants, and the fruit trees and livestock, along with the native timber, were for the use of those who ventured or stumbled into this remote part of the world. There is some concern that the modern permanent population may be unsustainable, since many natives end up following career opportunities in England, or even the slightly more populous Falkland Islands; and it takes a special kind of person to endure life so far civilization. It should come as no surprise, then, that there does not seem to be a single hole of golf anywhere in these islands, though it is easy to imagine amazing courses amid the stunning landscapes.